If you're a blogger you know that your one biggest struggle and happiest part of your life is the SIZE OF YOUR To Be Read Pile. As soon as I see mind dwindling, I'm usually composing emails to all the publicists who feed my addiction, requesting more and when some or all of them arrive, I'm always thinking about how I wish I had more time to read the books I actually bought for myself. The cycle is one of the best and worst things about my life. Anyway, here's my Stacking The Shelves for the last few weeks. I got even more titles over the last two days but I'll be saving that for next week's STS! 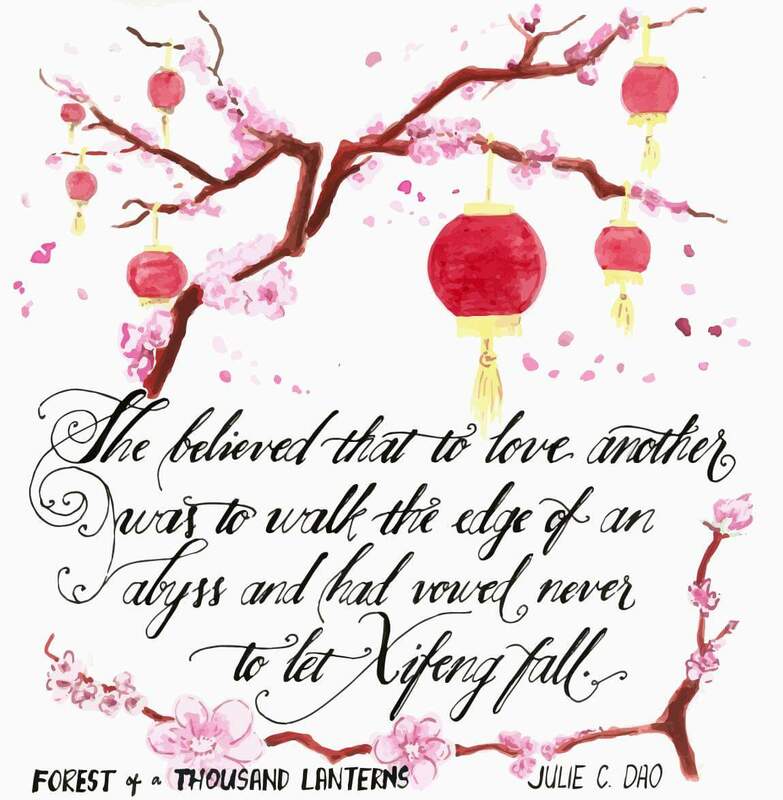 I'm a part of the OQSG (Orphan Queen Support Group) on Facebook for lovers of the Orphan Queen series. Jodi, who lets us know pieces on info in advance like the amazing human she is sent ALL OF US ARCs of her latest novel, Before She Ignites and I AM SO EXCITED TO READ IT. Seriously everybody, Jodi is one of the SWEETEST authors out there and you should definitely check all her books out. When Carrie Ann DiRisio, author of this gorgeous play on YA tropes told from the point of view of a Brooding YA Hero contacted me for the chance to review her book, there was no way I could pass it up! 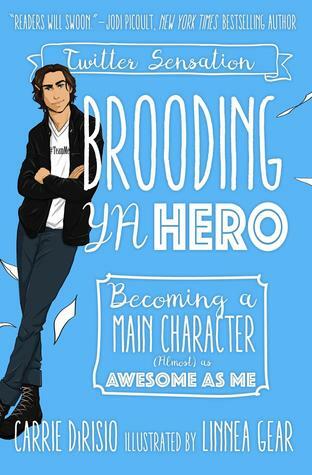 If you're an avid YA reader and haven't seen @BroodingYAHero on Twitter, head there now and prepare for all the laughs. You can also see my #BroodyBFF Mood Board and Writing Playlist here! 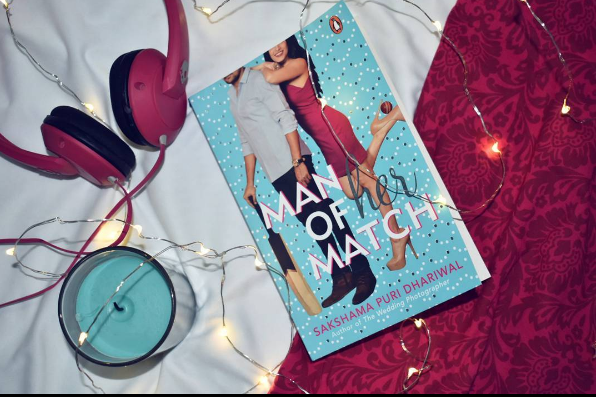 I don't read many Indian contemporary romances, but when I saw the synopsis of this book, I knew I simply HAD to have it. I dove into this book almost as immediately as I received it and it was filled with sass, humor and a romance I won't forget for a while! You can read my review here. I got this book a couple of weeks ago from Harper, and I'm so excited for this book that features a blind MC re-uniting with the boy who broke her heart and it sounds AMAZING to me. Plus, the cover has Braille on it which makes it so much more authentic and I couldn't be more excited. Maybe I'll start reading it this weekend? This is my first book my critically acclaimed Heather Demetrios and I FELL IN LOVE (I've already read it, that's how behind I am on my Stacking The Shelves posts) The cover is gorgeous and the abuse in this book is so well done. It's all about empowerment and what abusive relationships look like and to be really honest, we should be reading more books like this. Jessica Brody, just like Heather Demetrios is another author I've heard WONDERFUL things about but hadn't read until the AMAZING Macmillan Intl send me an ARC of her book. In Some Other Life was a fun book, and even if it did have a few flaws, it was one I definitely recommend if you're looking for a light contemporary. My review will be out closer to publication date. I was SO INTRIGUED by the plot of this "fake best friend romance" that I simply had to request it. I came out of it feeling like this book could definitely have been better but I don't regret reading it at all. It could have been more but it was a fun read nonetheless! My review will be out tomorrow and Just Friends comes out this Tuesday, the 1st of August. 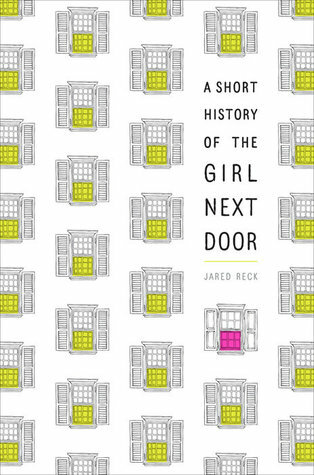 I was so intrigued by this book that I flipped it open on my Kindle reader a WEEK after I got approved to read it! (An Achievement! YAY!) 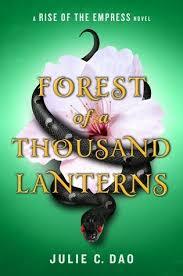 It was a good book, and certainly an intruguing plot but I honestly didn't like it all that much. I first heard about this book in the brunch The Novl hosted during Book Expo America. 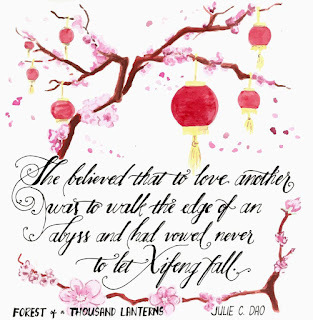 I loved Ryan Graudin's The Walled City and when I saw this book available on NetGalley I knew I would have to read it. 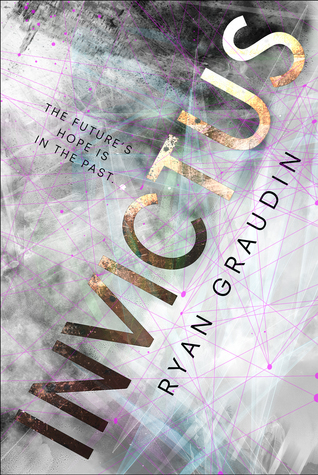 I'm so excited to read another Ryan Graudin book because I loved the characters and world building in the one book of hers that I have read. SO SO EXCITED. HOW COULD I NOT BUY this wonderful book that one of my favourite authors, Jodi Meadows co-authored the SECOND it came out in Paperback? 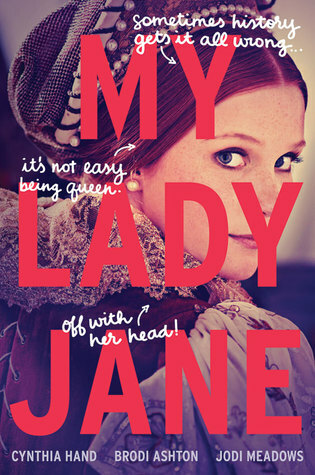 I'm so exited for the (not entirely) true tale about Lady Jane. I honestly can't wait to start this book. 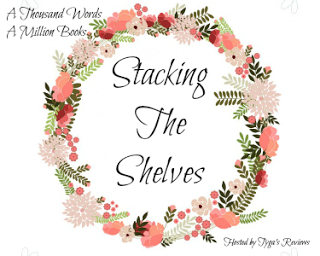 What have you stacked onto your shelves over the last few weeks? Have you already read some of the titles on mine? Blurb Description: 'You are my sister now,' Victoria said, quietly and solemnly. 'Never forget it. I love you like a sister, and you are my only friend in all the world.' Miss V. Conroy is good at keeping secrets. She likes to sit as quiet as a mouse, neat and discreet. But when her father sends her to Kensington Palace to become the companion to Princess Victoria, Miss V soon finds that she can no longer remain in the shadows. Miss V's father has devised a strict set of rules for the young princess, which he calls the Kensington System. It governs her behaviour and keeps her locked away from the world. He says it is for the princess's safety, but Victoria herself is convinced that it is to keep her lonely, and unhappy. Torn between loyalty to her father and her growing friendship with the wilful and passionate Victoria, Miss V has a decision to make: to continue in silence, or to speak out. By turns thrilling, dramatic and touching, this is the story of Queen Victoria's childhood as you've never heard it before. 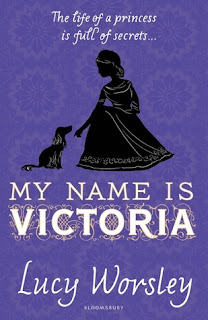 Short and Sweet: A fun, easy to read take on the young list of Queen Victoria that will have you smiling and desperate for more. 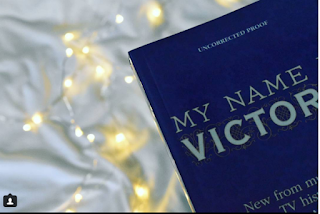 I guess that’s probably why it took me a little while to pick up My Name is Victoria, because of the slow nature of the second half of the previous book and I really needed to get myself in the mood for it. 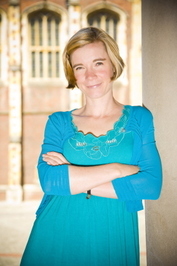 The author is a curator at the Kensington Palace where the young Queen Victoria spent her days in . The story flowed really well, starting from the time Miss V. Conroy is taken to be playmate to a young Princess Victoria and ends during Victoria’s ascension to the throne. Lucy Worsely managed to capture the era and the mind sets of the world at that time through a girl of ages twelve to eighteen. As Miss V. Conroy and Princess Victoria grew through the book, the writing grew as well. From play time and dogs to boys, marriage and the throne I loved seeing how the future queen and her friend grew. While I’m talking about the characters is where the reason that this book isn’t a five star read comes out for me. While the book constantly had the same entertaining pace, it was the narrator, Miss V. Conroy who I had a slight problem with. There was nothing wrong with her but I just found her lacking a strong personality that I associate with teenage girls. 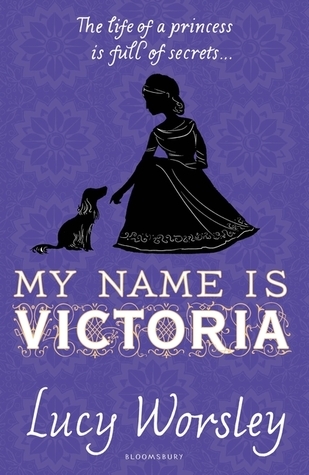 She felt no hurt at being called “a bit boring” and “the little mouse.” She felt like she had to do nothing but care for Victoria and didn’t care about herself. Her sense of duty and responsibility overpowered everything she could have been and she just felt like too good a character with absolutely zero flaws and it made it slightly annoying and unbelievable. If you’re into middle grade historical novels, there will probably be none more accurate than My Name Is Victoria! An easy flowing, wholly immersive tale. 4 stars. I was born in Reading (not great, but it could have been Slough), studied Ancient and Modern History at New College, Oxford, and I've got a PhD in art history from the University of Sussex. You might also catch me presenting history films on the old goggle box, giving the talks on the cruise ship Queen Mary 2, or slurping cocktails. 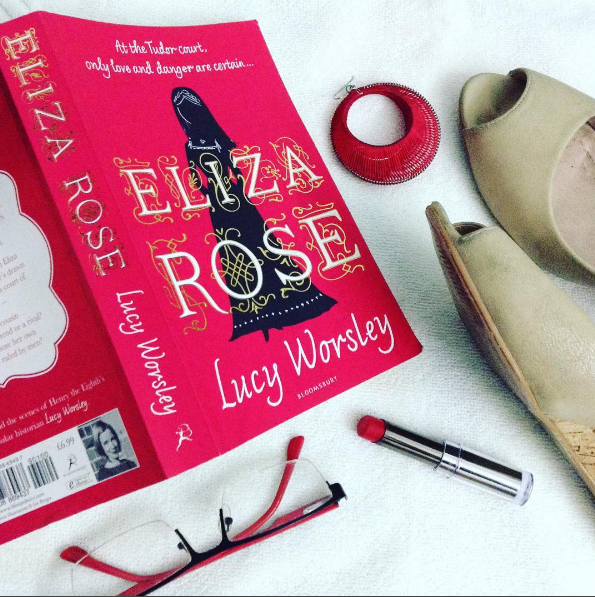 Do you read Historical Fiction? What are some of your favourites? 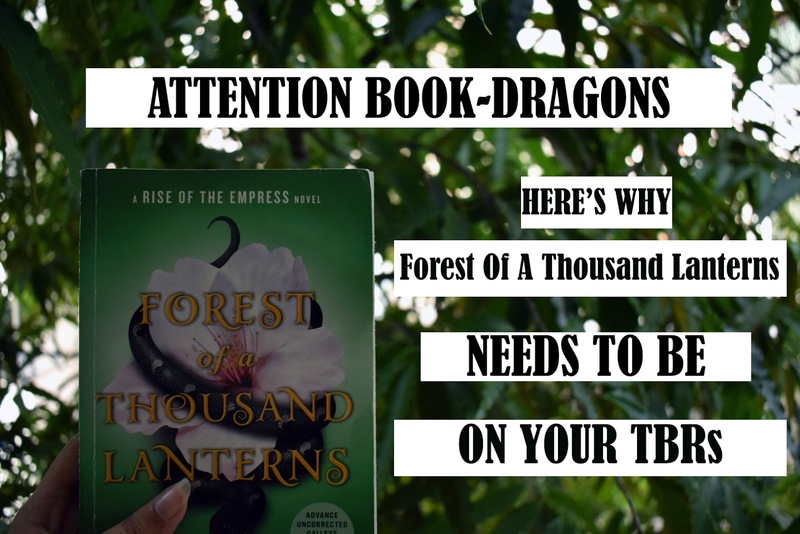 I don't read much in that genre, but I'm looking to remedy that and so I'd love your recommendations! Blurb Description: The domed city of Evanescence is in ruins. With nowhere to go, prodigy hacker Ellani “Ella” Drexel and a small band of survivors flee to the Undertunnel below their city.To escape the wasteland she unknowingly created.But sanctuary is hard to find. With malfunctioning androids and angry rebels at their backs, the group hopes to press on for the neighboring city of Cadence. But Ella’s chosen path is challenging…life-threatening, even. Worse, the boy she loves is acting distant, and not at all like the person she first met in Nexis.But then Ella learns a secret…and it changes everything.Ella knows she needs to turn back and make a stand to reclaim her home. She’s determined to bring a new—and better—life to all who’ve suffered.Or die trying. Nexis, the first book in this Duology, was one of my first five star reads of 2016. It was brilliantly crafted in a futuristic world and the ending had me sitting in the same spot, slackjawed and ready for book two already. 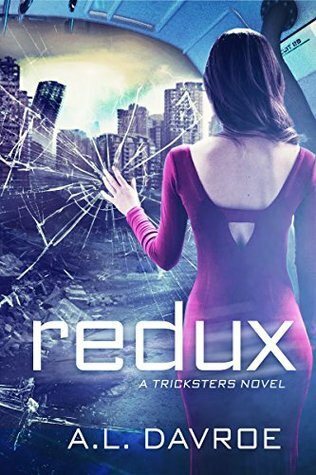 For some reason, despite getting approved to read an eARC of Redux on NetGalley, it took me a really long while to tap on the book on my Kindle app and start reading. It's been a year and a half and well, apart from the basic story and the main characters, I'd forgotten everyone else. 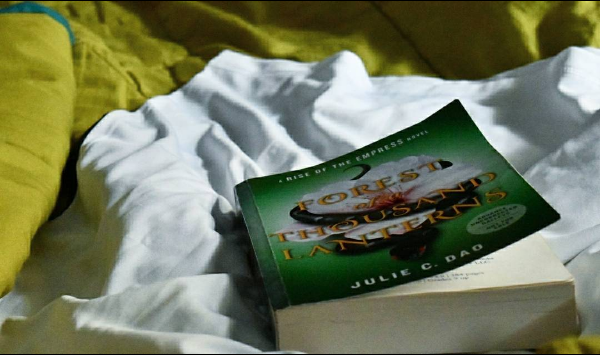 This is why the first 10% of the book saved me as it refreshed my knowledge about this series. In simple short words, Nexis was better than Redux. After the first ten percent that functioned like a recap to me, I was so confused by the world. Without a map or clear descriptions that functioned like a map, I had this feeling of being lost in my bookish surroundings that I couldn't take. I had no idea what the plan was - was it to try and go to the NEXT dome (I remember that being the plan from the last book?) And if so, why did they never try and only wanted to go back into the dome the destroyed? How many undertunnels are there? What's the plan? I spent most of the book wondering what everybody in it was doing, to be honest. I can't review this book without spoilers, BUT, despite the death of hundreds of thousands of people at the hands of the “Tricksters” I felt not even a single amount of GUILT or I'M WRONG WHAT CAN I DO from any one of them. They pretty much had made peace with their actions, damn the consequences and moved forward, and were STILL TRUSTED to be leaders of the Rebellion. Or the refugees. I don't know how they were and how NOBODY blamed them but it made the book feel artificial. Let's also talk about Ella's parents. They were at the top of my list of people who didn't CARE that thousands had died, their “uploaded minds” merely saying “Oh, well, that was only a slight miscalculation” They used their own DAUGHTER to give a face to Rebellion without so much as ASKING her and then made her a Saviour. SIGH. Apart from that, there were two death scenes where a certain somebody ALMOST died but HAHA HE DIDN'T BECAUSE HE'S THE MAIN CHARACTER AND HOW COULD HE? I did have a lot of problems with this book, but there was a lot to like too. I still loved the sheer genius of the technology that made up Evanescence. It takes a SPECTACULAR mind to come up with ideas like the one in the book and I loved it. There were also certain gritty and romantic twists that I couldn't see coming but loved when they did because they added a lot to the book. Mostly, I just wish this book had been better. I wish Ella's parents had asked and not attempt to brainwash an entire population. I wish Ella's wasn't such a NOBLE person and that she wasn't portrayed as a Saint/ Saviour but more like a normal girl. I love this series, and I definitely recommend it. I just wish that certain elements were better executed. 3 stars. 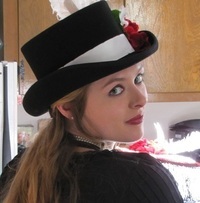 I write both YA and adult speculative fiction. I'm represented by Louise Fury of The Bent Agency. I've written FOR YOUR HEART; CITY STEAM; NEXIS; and M.I.A.. My latest novel, REDUX (YA science-fiction) is coming out with Entangled Teen in March 2017. By day, I live in Connecticut with my feline hench-creatures and I make cheese. I'm a terrible blusher, have a weak spot for cuddly animals, love Laffy Taffy and Cadbury MiniEggs, and I'm a huge advocate of alternative healing methods. I wear purple shoes and corsets...Though not always in the same ensemble. I'm a Capricorn, a Hufflepuff, and a few nuggets short of a Happy Meal. 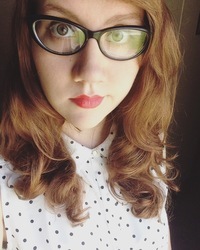 I also suffer from Resting Bitchface Syndrome (RBS), so even though I might look like I'll tie you in a knot if you come near me, I'm more afraid of you than you are of me (see blushing problem above). What do you think about Artificial Intelligence and Virtual Reality Games? If you could have ANY piece to future technology (and let's assume everything HAS been invented) what kind of device would you pick?